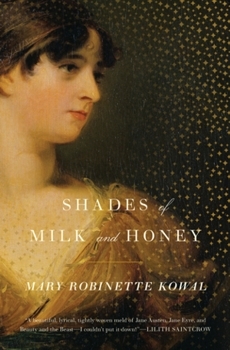 I just finished readying Mary Robinette Kowal‘s book Shades of Milk and Honey which is often described as ‘Jane Austen with Magic’ which so far as I can tell is accurate. (There is magic and I trust that is Austen-esque.) This is clearly a large step outside of my normal Epic Fantasy genre reading and I would have ignored the cover illustration completely in the bookstore (had it a copy, which is didn’t). And even if I had, the Jane Austen part would have scared me away based solely on reputation than actual opinion (and that I couldn’t get through ‘Pride and Prejudice and Zombies’). But I bought it soley on who wrote it. And how I know about her wouldn’t be possible even 5 years ago. Having suffered through some ‘classic’ Victorian era books in highschool, I somewhat feared that this would be as equally difficult to get around just the phrasing, but it was a quick, and enjoyable read — I think I went through it in 3 sittings (though one was exceptionally long). The characters fit my mental model of how they would behave and act in ‘proper society’ and the magic system seemed perfectly natural (and thankfully the origins of which were not explained). The book itself (at least the hardcover) has the pages not chopped for even-ness which lends, I think, the appropriate amount of ‘era’ to the book. Oh. And I only found one type-o; ‘colour’ in one sentence and ‘color’ in the next which is really an spell-checking dictionary problem. Now for the real reason for the post; an author who is active in various social media platforms can dramatically affect how a reader experiences there work. 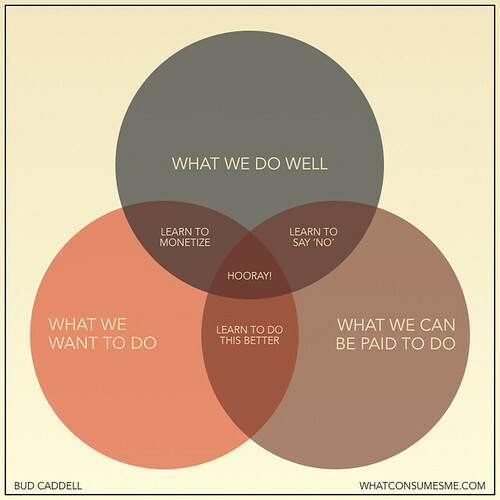 And not just in a sales perspective (though certainly that does help). Here is the list of ways in this particular case. Also from Writing Excuses I knew that the Austen has used [almost] every work in one of her original works as Mary took the complete works of Austen, uniqued it and then used that as her spell-checking dictionary. Which. Is. Awesome. And while appreciating this fact runs slightly counter to one of the themes of the book which is to appreciate the beauty in art without dissecting in, it is still awesome. Which she is well qualified to do since she is a Puppeteer first. That itself is hilarious when she is tweeting about making puppet. Time to glue his toenails. I’m debating about inserting the glue under his skin or on the surface. Mary blogs frequently sometimes posting period costume which helps complete the mental picture of things while reading. We (I) completely blew the social media aspect of promoting Beautiful Testing. Mary seems to have it nailed. And I have Glamour in Glass already on order. In today’s tech world (and I suspect non-tech as well) there are two basic funding models for companies; bootstrap and VC. I’m bootstrapped since I opened shop with only about 40 hours notice. I enjoy being my own boss, but as people I know de-independent themselves or I see their company gets acquired I think about ‘what if?’ situations. I sometimes think about what sort of company I would ‘sell’ my company to. I suppose for enough cash I would sell to almost anyone but what sort of company would be the right ‘fit’? The obvious one might be Sauce Labs since they are Selenium in the cloud, but they don’t have a Consulting / Professional Services wing. Now, acquiring me could become one, but I don’t think that is their strategy especially with the launch of their Ambassador (Partner) program. I am a Partner btw, so contact me if you are looking at them as I have a magic partner code. And while I think their OnDemand product is outstanding I like being able to recommend different solutions when the situation warrants. I’d likely also have to stop writing BrowserMob scripts as well which would be factored into any sale price, but is something to keep in mind when selling out to a Service company. Selling to Neustar (which bought BrowserMob last year) has all the same problems, only flipped around. So what about a pure Consulting company? Thoughtworks is where Selenium was created and does make sense to some degree, but from all accounts, you are on the road as a Thoughtworker way too much. I also think I know more ex-Thoughtworkers than I do current ones. Leandog would be a much better fit and I have done work for them in the past. (Last I looked I was even listed on their website.) I’d be a bit scared of the travel with them too though, and I’m not sure how much of their customer base is Python or PHP which are my best languages (though I am not unfamiliar with Ruby as well). In either acquisition scenario there would have to be a line item to get me proper work clearance for the US (which is a pain). I think bootstrapped companies tend to stick closer to their original entrepreneurial goals, but of course they [often] suffer from lack of capital to really expand and start to scale. Which is where I am now. I’m trying to build out a couple products and do consulting at the same times. Sometimes the two line up, sometimes they don’t. So were I to take investment from a VC (or Angel) what would I do? In a word, hire! But in a very targeted manner. I think for the model that I have going, what I need to be successful are testers who know how to program. The distinction between developers-who-test and testers-who-develop is oft argued but I think its important. Automation experience certainly helps, but this is along the lines of ‘hire for character; you can teach skills’. I can teach them the automation how-to but you can’t teach the natural ‘think like a tester’ that is essential in awesome automation. Oh, and of course they need experience in teaching. There is a big gap between being able to do something and communicate how to someone who is still running headlong into a learning curve. For revenue purposes, I would need a Java programmer first. As much as I dislike the language, it is used a lot and I end up turning away work at least once a week for it. The next two are interchangeable in hiring order; a Python person and a PHP one. They would be working, when not on client stuff, on Py.Saunter or SaunterPHP. That puts the company at four people with others brought in as necessary (on contract initially), and I’m fine with remote work so likely wouldn’t need a ‘proper’ office and could continue to sublet where I am. With runway for a year I’m thinking the investment would have to be somewhere around $450 000. Which is not a small amount (at least to me) but I’m pretty sure that with a bit of a marketing push that support contracts for Saunter could become a decent revenue source. Not to mention more and more companies are looking for Selenium help as they realize that even though the software cost is zero, the cost of not doing things ‘right’ is a lot more. So anyways. That’s what’s being going around my head the last couple days as a result of some press releases, etc. that I stumbled across. By no means am I putting out a ‘for sale’ sign, but these sorts of situations are ones that business owners need to think through. 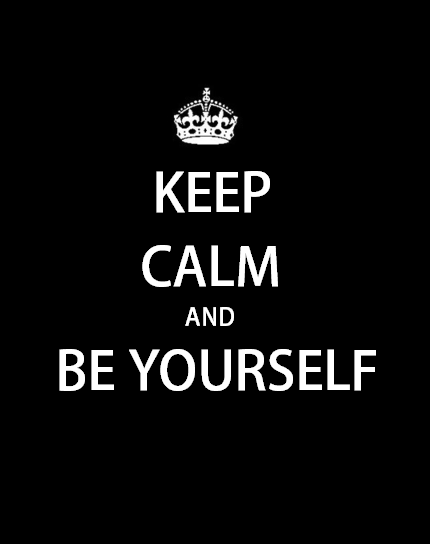 I just happen to do a lot of that thinking out loud and in public. Want to absolutely kill my productivity? Introduce me to a timeboxed game on pattern recognition (Bejeweled, Tetris) or bubble stacking (Bubble Island). Facebook is very dangerous for these. One of my favourite is Diamond Dash by Wooga — which happens to have a number of other games too. A week or two ago I was playing Diamond Dash while babysitting a script run a little monster appeared on the screen saying something like “Get to level 5 on Monster World and earn a special bonus gem”. Ooooo! Bonus gem! So like a good little pawn I got to level 5 and unlocked my gem. But now I started thinking. If these two games are integrated, what about the other ones? And so I leveled a couple more times in Monster World and soon a Raccoon showed up in the corner. Play 10 levels of Bubble Island and get a unlockable plant (Monster World is one of this silly ‘farming’ games). I’m more than happy to play 10 games of Bubble Island and so got my plant. Is it integrated with the other games? Not yet, or at least not so far that I have discovered. This got me thinking though that this is exactly the right strategy for creating multiple properties on a social platform like Facebook. I would go so far as to suggest that part of the product roadmap for an additional property is the integrations with the existing ones. Taking the Wooga games as the example I would likely do the following (just off the top of my head). Bubble Island -> Monster Island (existing) – Play 10 games and get a plant (Bubble Bush); though the plant should be integrated into the gameplay. So far none of the ‘quests’ have required it. And that doesn’t even include the Happy Hospital and Magic Land games (which I think are the Monster World engine with Pets and Knights respectively) which I would likely do at the higher levels of Monster World since the quests there take a while to compete so while they are churning away you could be doing the lower level, quicker ones of a different game. The point being that social networking works best when the network effect kicks into overdrive. That process can be given a boost by incentivizing your existing audience to try other things that they have already shown that they keep coming back to. Oh. And I would make sure a list like this was published somewhere reputable that was highly SEO’ed. Discovering during gameplay is one thing, but making it know that you can get these things if you play just a bit more could have value too. But even if (when) the beast that is SOPA gets enacted there will be ways to get around it. Heck, there already are a couple plugins for Firefox that do just that. Which leads me to an idea. This is the main text on the Mozilla website. What if they just included these plugins, or the tricks that they do in the Firefox browser. The day that it gets presidential assent is when it should should go into Aurora. But this post isn’t to call out [just] Mozilla and put them in political bind (since they are incorporated in the US). Google has been just as strong in their opposition and they control the Chromium/Chrome browser. And apparently Microsoft opposes it too, and of course they control Internet Explorer. What is really concerning to me though is an increase in the number mentions of badges being used as a stick. Case in point is an email on the Open Badges mailing list this morning. Obviously we can all see the benefits of having such a badge system that is supplemental to formal education. In the workplace, specific skill badges can be connected to increased salaries. Right now at my workplace we are dealing with secretaries who are untrained in newer technologies and they are unable to assist faculty and administrators in their departments. Now if we accept and link specific badges with salary raises or promotions, now we have intrinsic value for them to actually pursue more training. No. What you have is another stick to beat people with. Horrible corporate training has always existed only now you might get a badge rather than a certificate you print at the end. Yes, some will try for the badge the same way some would put the certificate saying they completed the corporate ergonomics training on their cube wall. Another risk that comes from using badges as a stick is invasion of corporate interests that have nothing to do with the improvement of the badge holder, but of the badge issuer. Certified Tester badge anyone? You know there will be dozens of those if the idea of badges takes off. And like the certificates they supplement you’ll be able to buy them rather than earn them rather than earn them. Top Ed-Tech Trends of 2011: The Higher Education Bubble talks about badges supplementing formal education — in what feels kinda stick-like. It is a good article on the whole though. Yes, we (society) need to rethink credentialing and accreditation — tried to cross a border for work recently only having a highschool diploma? Saying you need to have certain badges from certain issuers for a job or raise however is just replacing one broken system with another. Badges, to me, should be not forced upon someone but the carrot that inspires learning. Learning that would likely happen anyways actually, but just provide an indicator of having done it. Again, I fall back onto the example of Cubs. There are around 45 badges a Cub could earn during their three years, but they don’t have to. Yes, they’ll get some just by showing up and doing the activities we (the leaders) plan, but a lot more need them to show their own initiative. Some will, and some won’t. And that’s ok.
And know what? They’ll all be allowed to move up to Scouts. If badges were being used as a stick there wouldn’t be nearly as much enthusiasm around them or the programs. Actually, it would look at lot like a corporate environment. Shockingly, companies don’t just cede control of their roadmaps to me so I’m left to just blog about what I would do if I did wrest control of them. To continue a recent topic series, I’m tackling Mozilla. Mozilla appears to be downplaying Firefox as the only thing it does and is emphasizing its mission of creating a Internet that is open. Firefox is currently its largest tool in order to achieve that mission, and likely will be for some time, but I suspect we will continue to see play more of a supporting role and/or means-of-financing other work. In the place of Firefox the Web Maker meme will become more broadly spread. If I was creating schemes for 2012 and beyond I would look to badges to drive this. In fact, I would make them central. For every project that Mozilla undertakes, the question of integration into the badges idea should be asked. What spurred this idea was the weekly Community Call yesterday. About 1/3 of it was a discussion around Drone Journalism which is the use of unmanned drones (mini helicopters, etc.) to capture footage for film or citizen journalism. This is kinda interesting for a make-your-own-drone perspective and from being able to capture/disseminate information when it is being controlled by ‘official’ sources, but I’m not seeing how it fits into the Mozilla mission. Sure, it could be a consumer of Popcorn.js, but that’s really about the limits I can see in terms of Open Web and Web Makers. Or something similar. Certainly something like the MoJo (Mozilla Journalism) stuff could have a badge sequence, School Of Webcraft already has one, the HTML5 evangelists inside Mozilla also have something I think. Last week Mitchell Baker (Chief Lizard Wrangler at Mozilla) said in a talk at the Toronto offices that Mozilla is not going to be political organization, but even some of its grassroots Open Web/Privacy stuff could have a badge system; Defender of the Internets! badge anyone? The ideas of Open Web and Web Makers are powerful, and absolutely is where I would point Mozilla towards (not as if Google or someone else is going to do it; ‘evil’ is relative it seems). But without a framework to hang initiatives around they risk being just a collection of independent projects under a large umbrella. Badges, which is also part of the Web Maker idea, could provide an ideal structure to connect all these things. David Christiansen runs TroopTrack and posted a bit of an analysis of your conversion rates; powered largely by a couple graphs. Its an interesting analysis, but what is really good from a startup perspective is the findings in the Correlation or causation? section. That is an important finding, and one that in my gut I think is more true for more products than people give credit. When I was at HP we pretty much knew who was considering buying our product because the Support group had contract with them. Right now I have a similar interaction with people who start to use Saunter — though that is because I need to update the docs. SaaS products are easy to capture this information and interaction; an opensource product that you sell service and support around is much harder. And a problem I need to figure out at some point in the near future. Disclaimer: David is a friend and I want TroopTrack to succeed — even if it is so he can add Canadian stuff to it. And so I continue to think aloud Badges and Web Makers. If you look at the badges at p2pu which is pilot project for the open badges stuff at Mozilla one thing stands out. They’re just text, and frankly, kinda boring. This might be enough for people who are used to static badges like those on StackOverflow but I think it completely fails to capture the attention of the next generation of Web Makers. I have no information to back up that claim other than what I observe around ‘real’ badges at Cubs with the kids looking at them, guessing what they are, etc. Two years ago, George Dinwiddle awarded me an ‘Agile Merit Badge’ at the Agile Conference. While cleaning up the basement from a partial flood I found it again and it clicked a few more things in place in my brain. First, the they need to be image driven, not text based. Not the least bit because the world does not communicate in only one language. (Hurray for the arrogance of the English speaking world!) Secondly, through the use of steganography the information about issuer, what was done to earn, repudiation authority (thinking something like OCSP — OBSP?) and such could be embedded in it. But more importantly, an image can be turned into something tangible; like a real badge. Something that could be stitched onto a physical backback or blanket. Of course this badge thinking also lines up well with one of Mozilla’s goals around the Web Maker stuff I think. How do we get the next generation to learn about how the Internet is built so they can make it their own? Well, there is a global organization for youth that already has an established tradition of badges; Scouting. One thing I would like to see MoFo do is work with Scouting to create a ‘World Wide Web’ badge. Here is the requirements for the closest thing that Scouts Canada has to this; the Computer Badge. It is very dated and desperately needs a refresh. Or better still, replacement by something else that is relevant to the kids in the program now and in the next decade or so. I realize the Internet is more than just the web, but let’s face it, that is the mechanism for 90% of people’s interaction with it. What are the dangers around Phishing, Pharming, Spam? That would give the basics of both Web Safety and Web Makerism to kids earning the badge. (It would also be an easy badge to complete in an evening at the local library or similar with lots of computers and X-Ray Goggles). Badges for Scouts and Venturers could require higher levels of sophistication; CSS, Canvas, Video, etc. There is actually precedent for organizations working with Scouts (well Canada at least) with the new Scuba badge (Scouts, Venturers) that was done in conjunction with PADI. That organization for that badge makes perfect sense. I think Mozilla makes perfect sense for something about the Web. 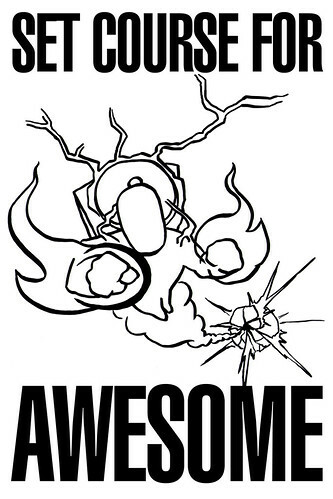 And how awesome would a Mozilla head badge be?!?! They know how to contact me; in the meanwhile I need to figure out who to contact in Scouts Canada about this. This idea could have legs. If you are not aware of it yes, Entaggle is site for ‘tagging’ people as a form of peer credentialing created by Elisabeth Hendrickson. In a follow-up to her I flushed out what I think the differences are between ‘tags’ and ‘badges’ which she allowed me to make public. So here is my thinking of tags vs. badges. Tags themselves seem to be more about the relationships between the tagger and the taggee (‘someone I know in person’, ‘someone I look up to’) whereas a badge is something that is earned and/or has requirements of demonstration of skills. Badges also have a more formal issuing authority and repudiation scheme (the tag ‘someone I look up to’ was removed from taggee by tagger, how is that made visible?). In the Mozilla context of badges, there could be an HTML badge that you get by live-editing an existing page to submit a form to some ‘secret’ place that registered that you have ‘completed’ the badge (though X-Ray Goggles or Firebug or whatever). 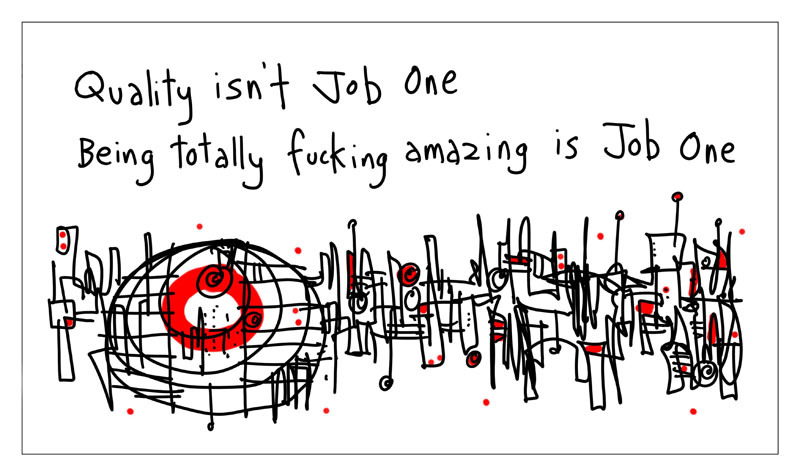 What would an Agile Tester badge look like? I think too the Mozilla badge vision has the notion of levelling so could have Bronze/Silver/Gold which require a greater set of tags to earn (and keep). Badges could also, in the Entaggle context, become an aggregate of tags distributed by a number of people. Hmmm. More feature requests!